Although Bright Futures Young Women’s project is predominantly a female focused youth provision, it also has an active male provision operating two evenings a week offering a range of positive activities. 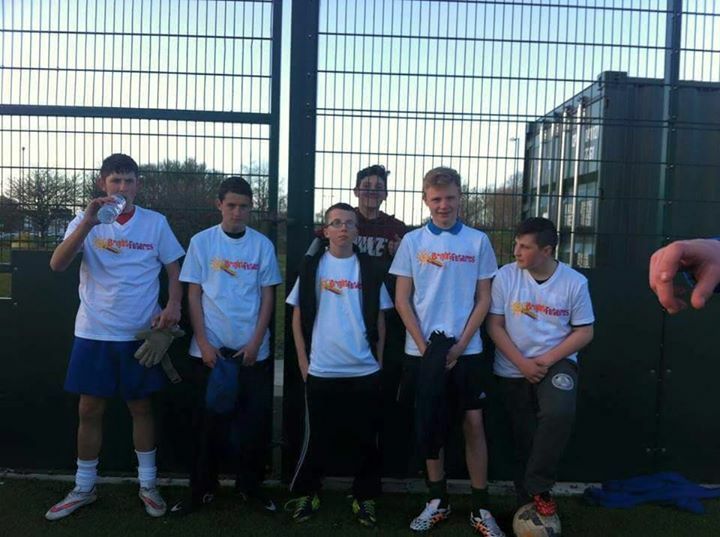 Male only sessions are delivered on a Wednesday and Thursday evening between the times of 5pm – 8.30pm and are split between fun sports activities, detached sessions and issue based group work sessions and are conducted across various areas in South Shields including Cleadon Park, Temple Park and West Harton. We offer young people between the age of 11 – 19 opportunities to participate in various sports activities including football, basketball and cricket. There is also an opportunity for young males to participate in boxing and other fitness sessions which are delivered by fully qualified instructors. All sessions are free of charge, fully inclusive and designed to encourage participation, whilst developing confidence and self-esteem. Male participants also have the opportunity to access various nationally recognised qualifications available including Sports Leaders and FA awards. All sessions and activities offered are driven by the young people to ensure they are fun and meet the requirements and expectations of the participants.